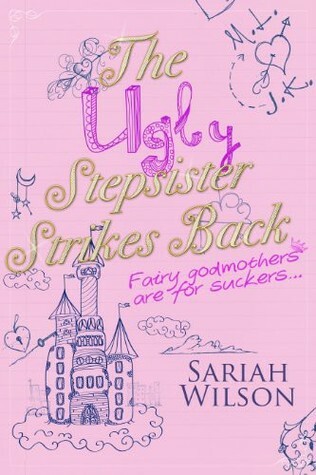 This week I’m featuring The Ugly Stepsister Strikes Back by Sariah Wilson. I read a review of this book by Jennifer @ Feminist Fairy Tale Reviews and when I combined that with the interesting premise, I decided to give this one a try. Here’s the first paragraph (or so) of the book. My stepsister Ella was ruining my life. She was blonde, petite, beautiful, talented, popular, and worst of all, she was nice. My dad married Ella’s mom, Rose, when we were both two. It was the year after my mother left me. After Ella’s mom divorced my dad, Ella still came and lived with us every summer, and every other Christmas. We never went to the same school until Ella’s mom died from breast cancer at the end of our sophomore year. Ella moved in immediately. Nobody knew where her biological dad was (he bailed before Ella was even born). She belonged with us. At first I was glad to have her. It was fun having a stepsister. Or, it was fun up until the beginning of our junior year. Over that summer, Ella changed everything. Her hairstyle, her makeup, and her clothes. She exercised every day. Ate carrots and crap like that. She got unbelievably gorgeous (and it probably didn’t hurt that her mom had been an actual Swedish Bikini Team model). And she was new. The boys went crazy. That was the first thing in my List of Grievances where Ella was concerned. What do you guys think? Will you keep reading?